The family in question is the Kayes and the venture is Tasty (LON: TAST), a £63m restaurant business trading under the Wildwood pizza and dim-t dim sum formats. Currently operating from just 31 outlets, I expect a successful rollout of new restaurants to support rapid profit growth and extensive share-price upside during the next five to ten years. I initially bought Tasty shares during 2011 at 50p and, following this review of my sums, have topped up during April 2014 at 120p. Let me introduce you to the Kaye family — probably the most successful restaurant bosses in the country. Their story begins in the Fifties, when East End brothers Reginald and Philip became franchisees of the then novel Wimpy burger chain. The Kayes then set up their own Golden Egg restaurants in the Sixties, serving up bacon, egg and chips within some rather garish interiors. The Seventies witnessed a switch to Deep Pan Pizza while it was back to burgers with Garfunkel’s in the Eighties. But a knack of backing what were then popular dining tastes — and selling out at the right time — made the Kayes a heap of money. The Sunday Times 2013 Rich List estimates a £165m family fortune. Inside the restaurants, the Kaye’s success boiled down to simple menus, good-value prices and pleasant decor. Philip Kaye handed down the formula to his sons, Adam and Sam, in the Nineties and here is where the first Kaye tenbagger emerged. The sons led pizza group ASK Central to AIM in 1995 and its shares traded initially around 14p. By 2002, Adam and Sam had expanded ASK’s estate from 10 to 172 restaurants and watched annual sales jump from £3m to £96m and profits surge from £0.2m to £17m. ASK was sold for 220p a share during 2004 — easily a tenbagger for early investors! The second Kaye tenbagger is Prezzo (LON: PRZ), a chain that specialises in Italian food. Established by Philip’s nephew, Jonathan, in 2000, this share joined AIM in 2002 at 12.5p only to languish at 6p soon after. However, the price now trades at around 150p to give anyone buying in those early days that magic ten-fold return. Since Prezzo’s flotation, Jonathan Kaye has taken the group’s restaurant count from 8 to 238, driven sales from £4m to £166m and transformed a small loss into annual profits of £20m. 1) Kaye involvement: Sam Kaye is Tasty joint chief executive, Adam Kaye is a non-exec and Philip Kaye is a major shareholder. Between them the trio control 48% of Tasty and thus have £30m riding on the share price. I note the Kayes have always backed their chains with major stakes — they enjoyed a 67% holding during the early days of ASK and still own 57% of Prezzo. 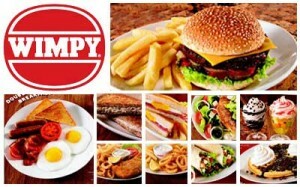 I like the fact Tasty’s chief executive, Jonny Plant, co-founded the firm with Adam and Sam and owns a 7% stake. I’m also encouraged by the board’s low salaries and some straightforward options (they become exercisable simply when the share price tops 150p for 15 consecutive trading days). Potential dilution from all outstanding and ‘committed’ options, however, could be a hefty 10%. 2) Expansion potential: With just 31 restaurants open at the moment (of which 24 trade under the core Wildwood format), I am sure the future rollout programme still has some way to go. If ASK and Prezzo are anything to go by, Tasty’s outlet count could easily surpass 100. 3) Multibagger opportunity: Tasty’s market cap at 120p is £63m and my hope is the company replicates the success of Prezzo, which at 150p currently sports a market cap of £350m. If Tasty can achieve Prezzo’s level of success, then I am looking at a four-fold return even with extra shares being issued to help fund the expansion. And if that four-fold projection can be achieved in 10 years, the annual average compound gain comes to a handsome 15%. You see, during the first half of 2004, Prezzo’s estate advanced from 26 to 35 outlets and produced sales of £9m and an operating profit of £1m. The balance sheet back then was worth £16m. Doubled up, Prezzo’s 2004 first-half P&L figures are quite similar to Tasty’s 2013 results, which described the estate advancing from 23 to 28 outlets to produce sales of £23m and an operating profit of £2m. Tasty’s last balance sheet was worth £17m and the group currently boasts 31 restaurants. Prezzo illustrious expansion during the last ten years was helped by two share placings, the first of which raised £9m in 2004 while the second raised £8m in 2006. 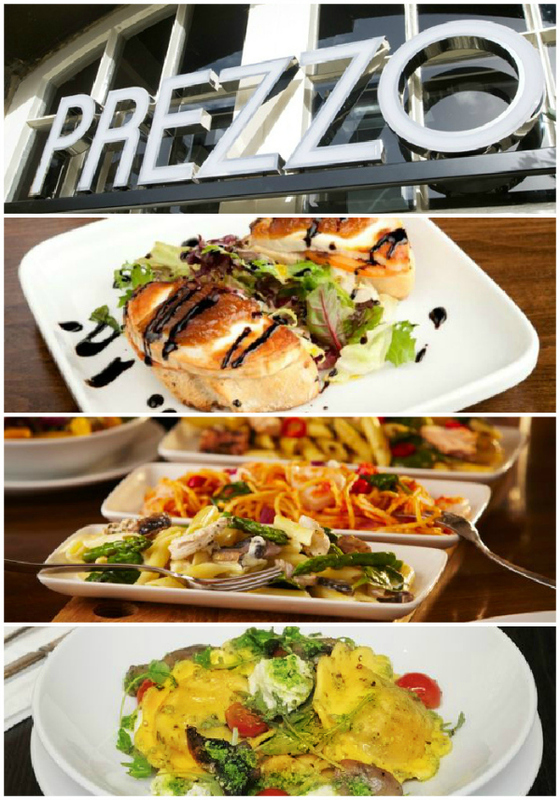 The money was used to accelerate the rollout programme, with Prezzo’s outlet count surging from 35 during mid-2004 to 98 by the end of 2006. The share count rises 32%, from 53m shares to 70m shares. On the right-hand side of the spreadsheet, you can see my projections indicate 2024 sales of £168m, operating profits of £20m and earnings of £16m. These figures are almost identical to Prezzo’s actual 2013 results, which showed sales of £166m, operating profits of £20m and earnings of £16m. As such, I’m optimistic Tasty can replicate Prezzo’s £350m market cap by 2024 — should it repeat Prezzo’s rollout progress. A £350m market cap with 70m shares in issue gives a share price of 500p — a four-fold return on my latest 120p buy. For the record, Prezzo’s shares in 2004 were around 30p and are now 150p — a five-fold return before dividends. 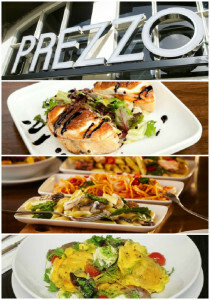 Prezzo’s share count in the last ten years has expanded by 29%. What’s more, a trailing P/E of 40 indicates the share price is almost entirely supported by what could happen in the future — and offers plenty of downside should problems occur. Indeed, Tasty might not receive the extra funds that I’ve assumed in my projections. Alternatively, any future share placings to raise cash may dilute existing shareholders significantly. That said, Tasty has already successfully raised £18m since inception from shareholders, while the Kaye family have generally been keen to pump more money into the chain as and when required. I trust the Kayes would be unlikely to see their existing investment falter. …and may come unstuck if Prezzo itself runs out of steam and its share price and current P/E of 20-plus is de-rated. Plus, my holding timescale of up to ten years offers a very long time for problems to occur! The Kaye family has twice delivered wonderful shareholder returns and, if the Wildwood rollout goes well, I’m confident I have a multibagger in the making on a five-to-ten-year view. In particular, I can’t ignore the similarities between Tasty now and Prezzo in 2004. Indeed, I am convinced it is only a matter of time before Tasty announces a chunky share placing to accelerate its expansion programme and really kick start its profit growth.